American statesman and a retired four – star general in the United States Army. He was the 65th United States Secretary of State, serving under U.S. President George W. Bush from 2001 to 2005, the first African American to serve in that position. 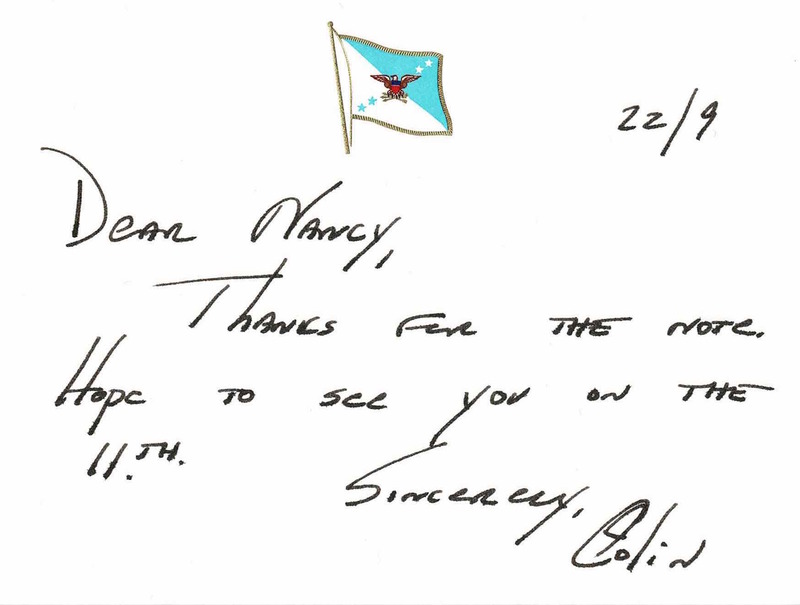 ANS – Autograph Note Signed while Chairman of the Joint Chiefs of Staff. Presumably written to First Lady Nancy Reagan. 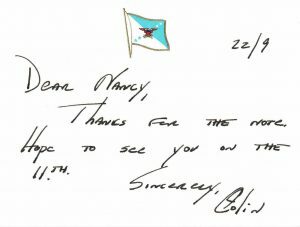 Reads: Dear Nancy, thanks for the note. Hope to see you on the 11th. Sincerely, Colin. 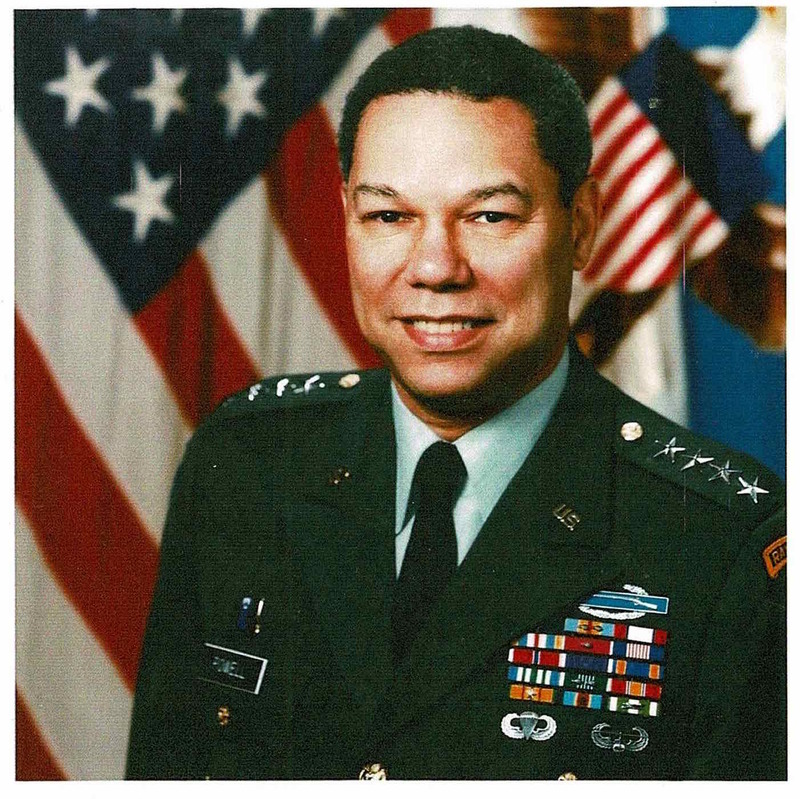 Accompanied by a small color reprint image of Powell as CJCS. Nice ensemble for display.